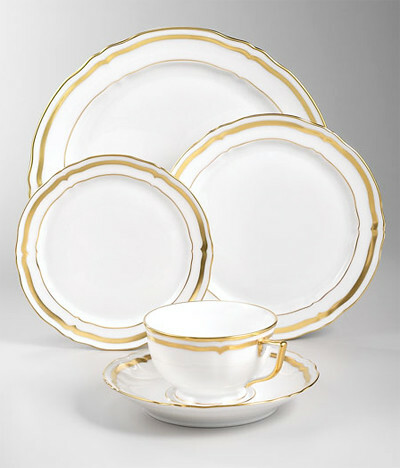 With Thanksgiving just over a week away, there's lots to be done and I'm not just talking about the food. We're hosting Thanksgiving this year and if you know me well, you would guess correctly that I am even more concerned about the house than the food. 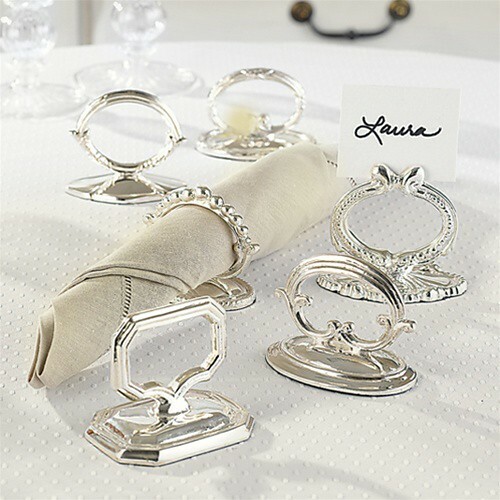 Questions concerning what kind of table cloth to use, which glasses to drink out of, and what type of flowers to put on the table have filled my head. I'm sure those of you who are expecting guests feel the same way I do. 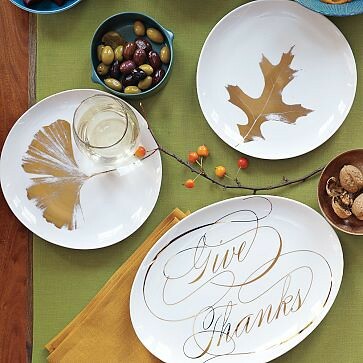 Which is why I've gathered a few items I think will help alleviate any pre-Turkey day jitters you may have. 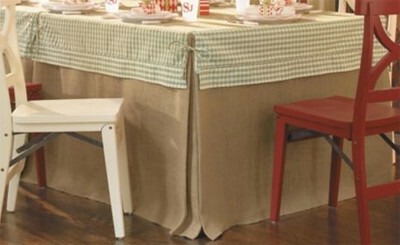 A floor length tablecloth might be the best way to change the look of our dining table. 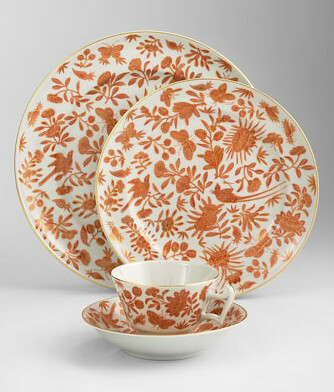 Mixing and matching between these two sets would create the kind of table I want this holiday season. 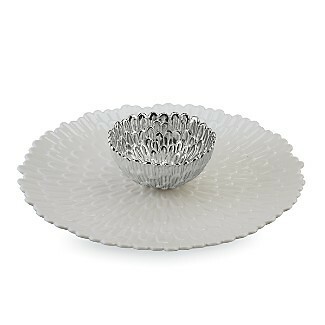 Perfect for that slice of pie! 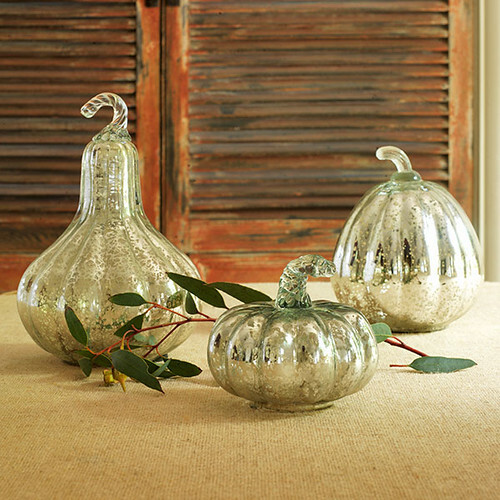 Add these antiqued glass gourds to add some sparkle to your table. 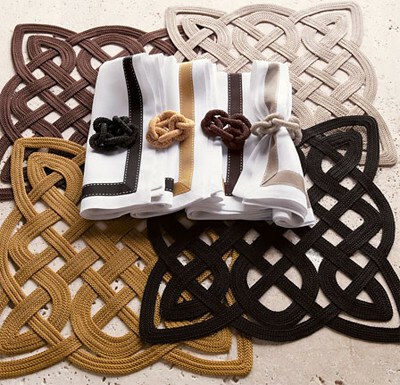 These Victorian-like coasters come in different colors and designs. 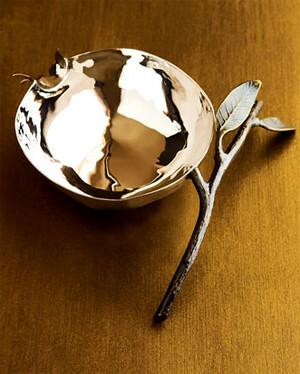 This Michael Aram dish was too adorable to leave out. 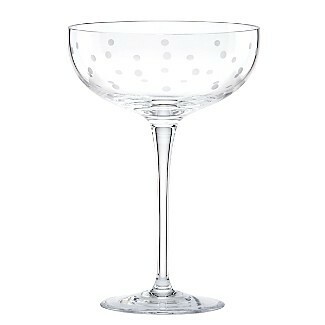 Get retro (and chic) by drinking champagne in these saucers. 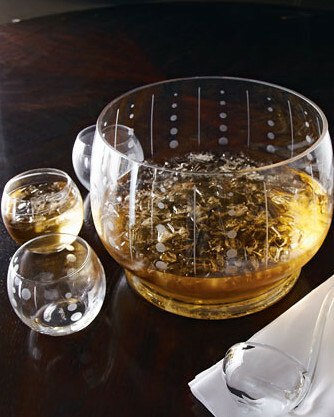 Nothing says "party" more than a punch bowl with matching glasses. 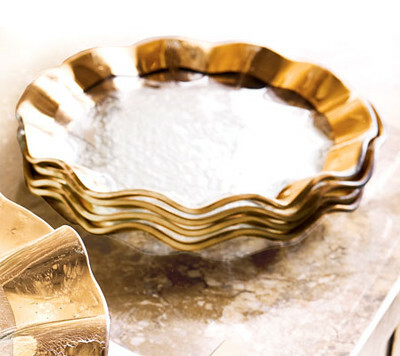 Get a little fancy serving your chips & dip on this dish. 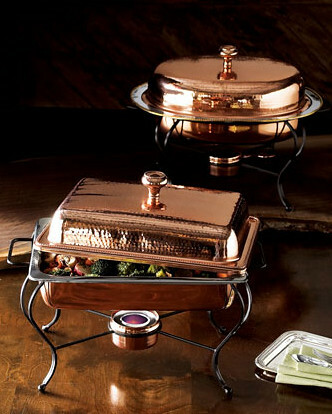 Keep your food looking good (and warm) in these chafing dishes. 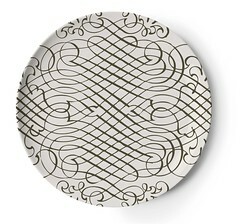 I had featured these in my "What I'm Fancying Now" page but these ones from Burke Decor are on sale!